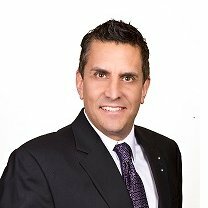 David Riche is a REALTORⓇ at Keller Williams Allen. He specializes in all aspects of residential real estate in the Dallas/Ft Worth TX area. Originally from Houston Texas, David is a US Navy Veteran. He is passionate and heartfelt in helping his clients. David always has their best interest in mind. Those who know David understand and admire that he is continuously seeking to stay ahead of the game when it comes to market education and trends. David Riche is active in the McKinney Chamber. To meet David, feel free to call or email him to set up an appointment so he can find out more about your real estate plans and needs.